So having just recently completed my trip of the West Coast of Ireland in 1 Week, along the longest Coastal Route in the World – The Wild Atlantic Way, taking in over 2,600km it is now time for me to put this trip into some sort of words, and more importantly share my photographs of this stunning area with the rest of world, and hopefully inspire a few more of you to take on this route. The route itself is no secret, it is brilliantly signposted from start to finish and is easily completed without a sat nav, map of even the slightest clue about the geography of Ireland. There are numerous towns and villages that you will pass through and the options from accommodation range from a bit of wild camping to official campsites, or gorgeous little family run B&Bs right through to Hotel Resorts and Spas. Brilliant. Initially I had planned on completing this trip with my only accommodation being at the side of the road where I stopped. Just prior to my trip I decided on changing this due to the predicted weather, and the constant rain the Met Office told me I would be facing. It turns out on this trip over the one week timescale the change to B&B style accommodation was a good one! This first post though will cover the gear that I used on my trip, it will touch on my motorcycle, and the gear I used for the daily ride and how it held up with the weather of an Irish ‘Summer.’ Summer in this case needs the ‘ ‘ marks, as at the time of typing I think we are somewhere close to Day 60 of consecutive rain falling somewhere in the country (its a small country) and having just passed the coldest, wettest July since 2003. On saying that as you will see over the up and coming #WAWIn1Week posts I was pretty lucky with the weather. I did get a good, in fact severe soaking, twice – enough to test the gear to the absolute limits, but for most of the time I was only hitting passing showers, or trying to keep them in my mirrors! 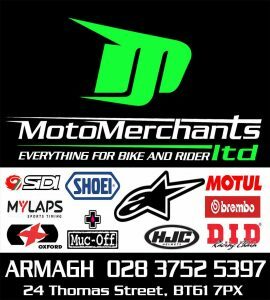 With this route hugging the West Coast of Ireland and therefore the limits of the Atlantic Ocean it is subject to some pretty extreme weather conditions and one thing to remember if you are over and on the route what looks grim ahead may take a dramatic change around the next corner. The weather is really that changeable and if you just look out over the ocean you will get a very good idea of what the jet stream is bringing across to you over the next couple of hours. A 2014 BMW F800 GS Adventure Travel Edition was my steed of choice. The bike turned out to be an excellent partner, I had major concerns over the comfort of the seat, as it is well documented that this is one of the bike’s stumbling points, however me for it turned out to be reasonable, not horrendous as stated in so many different mediums, but ok. It wasn’t the most comfortable perch I have spent time on, but most days were at in and around the 10 -12 hours of riding and I coped pretty well. It could be improved with an aftermarket seat, but the stock seat, for such a long trip, I found completely adequate. Other than that the bike performed brilliantly! It was smooth, easily powerful enough to get out and round the many camper vans along the route and also to enjoy the huge straights and ‘twisties’ that makeup the route. It seemed to have no issues whatsoever over the weeks hard riding, and all I had to do was the usual checks; tyres, oil etc. I did wash down the chain and relube using some Muc-Off Travel Sized Chain Lube. 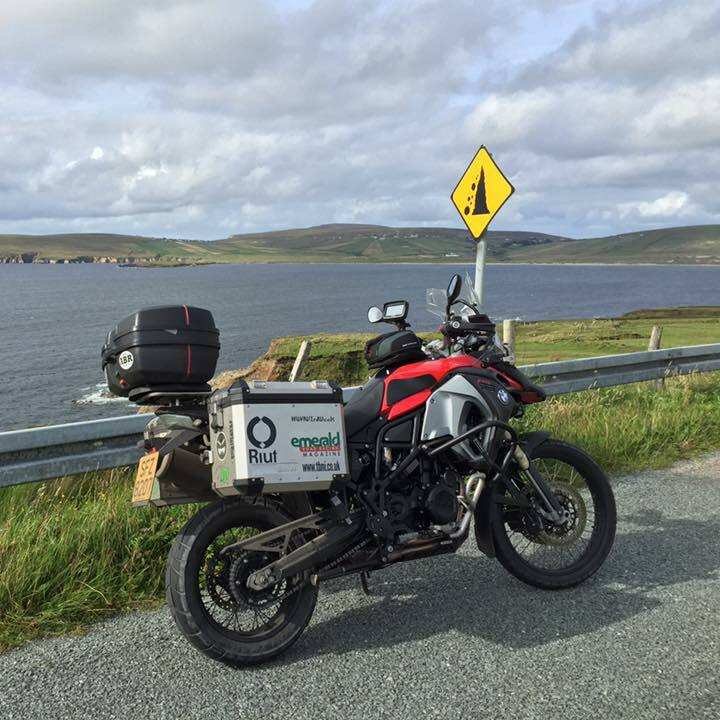 The motorcycle itself was equipped with BMW Aluminium panniers, and a Givi Monlock top box. The top box I used to keep the essentials such as the wallet, phone, iPad, laptop etc all in, and it performed flawlessly. Not the slightest drop of water ingressed. I have had it for a good few years and it has never failed me, and that is the reason I have never even considered replacing it. The panniers performed well too, however on my trip down I did get soaked, completely soaked! On reaching my accommodation I noted that the right hand side box had leaked and a puddle was now in the bottom of the box. I did have a set of pannier liners from eBay Seller ‘great.pannier.liners’ in there and they kept my clothing bone dry, so can easily recommend them. On drying the box out it never got wet again, even when met with worse conditions later in the week, so I am putting that incident down to a poorly sealed box. I also kept a charger for the phone and a power adapter along with the accessory plug for the bike in here, the leads can easily be fed through the bag to charge items whilst safely tucked up in there. The best thing about it though is its ease of fitting, snap it on and pull it off, and it means you can take your valuables with you with ease wether you are running into a shop or stopping off for food. Brilliant kit. The bike itself is kitted out as standard with some protection add ons, it has additional SW-Motech crash bars, a Rugged Roads splash guard, Rugged Roads Aluminium Chain Guard, SW-Motech Bash Guard, Grip Puppies grips, a Tutoro Chain Oiler, a Maier Rear Splashguard, Mudsling Avant Fender Extender, Rugged Roads Centre Stand Guard, Rugged Roads Headlight and Aux Lights Guards, Wunderlich Tank Pads, R&G ShockTube. Out of these thankfully the only two that I can comment on their performance are the ShockTube and Maier Rear Splash Guard as they seem to have done a wondrous job in keeping the back end of the bike in top condition! They are easily recommended, the ShockTube is easily picked up in the UK, the Maier is unfortunately very hard to come across, so if you see one, don’t hesitate pick it up! 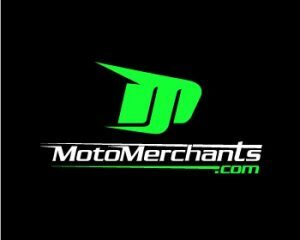 So for me the bike gets full marks, it was an enjoyable ride, 10-12 hours a day and there is very little I would change, a new seat maybe if I come across some cash I just must spend. The Helmet : BMW Enduro Helmet. I have a few lids that were shortlisted for the trip, this is the one that made it, primarily because it had the room inside for the Sena headphones without effecting the comfort of the lid or pushing too much against my delicate ears! IT was a good choice, it is light and comfortable, thankfully I didn’t have to worry about its impact protection, however being a branded BMW item I have complete faith that I was wearing a quality and well tested lid. The peak helped with the sunlight, but as with any peaked lid it also caught the wind, and that is its only bad point, however anyone who regularly wears a peaked lid will know what I am talking about, and know that it is something that you have to be aware of, and just pretty much deal with it. 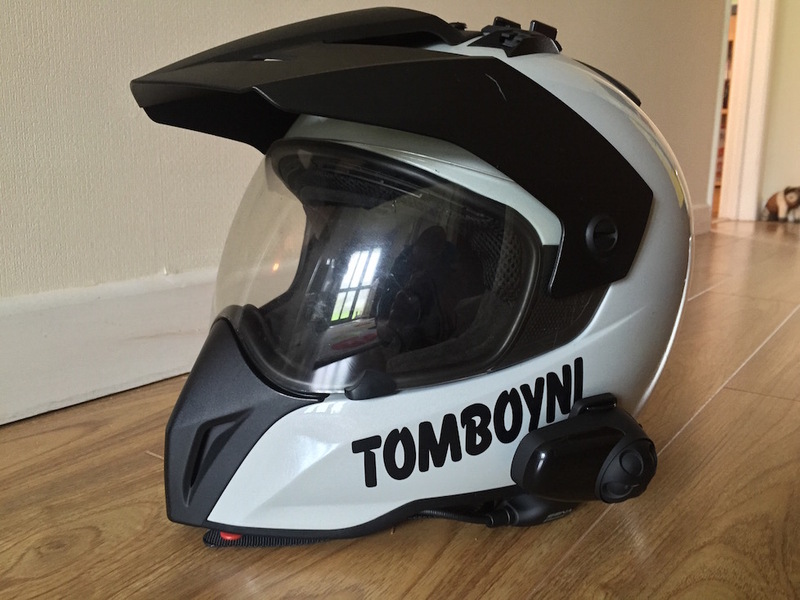 In this helmet there is no pinlock, however I wasn’t troubled by fogging, I did treat the visor with anti-fog and it seems to have worked well coupled with the little notch that allows air flow through the lid. Even after 10-12 hours a day I didn’t have any troubles with this lid, and when pounded by the rain it took it all, no leaks, drips, dribbles at all. My head simply didn’t experience the rain at all. This is a model of helmet I would absolutely buy again. Very simply used to tuck the ears in and protect the top of my head from any rubbing from the helmet, always used one and for me it works well. Anyone looking a bluetooth speaker, comms set should consider one of these. 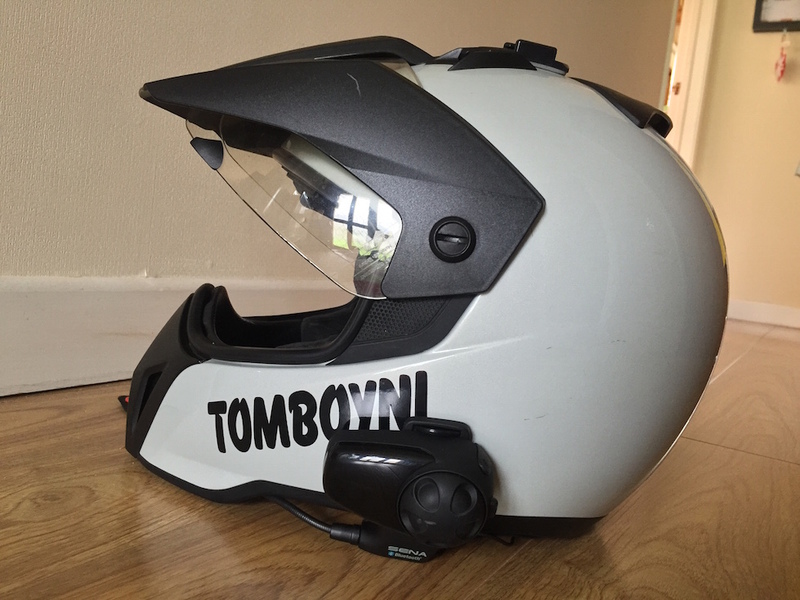 It fitted inside my lid very easily and when on the road I was able to get full days riding out of it without drama and it only took a couple of hours to charge at night. I had my phone connected to my TomTom, the TomTom was connected tot he Sena, as was a iPod Touch. I had music for the entire day, along with Sat Nav (if you needed it) and phone functions. Audio quality was brilliant, both musically and when using the phone and it was easy to work. What more do you need! At about 70 mph road noise will start to drown it out but at normal cruising speeds it worked flawlessly. With the visor closed and using the boom mic, my call recipients even commented on how clear the call was and couldn’t believe I was actually on the bike. As you can see from the helmet I have mounting points for my GoPro on top of the lid as well as on its right hand side. Action Cams are great and GoPro are one of the best known, just be aware of battery life, I brought 4 batteries with me and used all four every day recording what I thought were the most picturesque moments, but extra batteries are essential, the footage they capture though is brilliant, especially if you have the time and patience to edit it well. Hopefully I will? I have used one of these for many years now and never go out without it. It is highly tested in impact protection, and importantly hight rated – and every little helps. 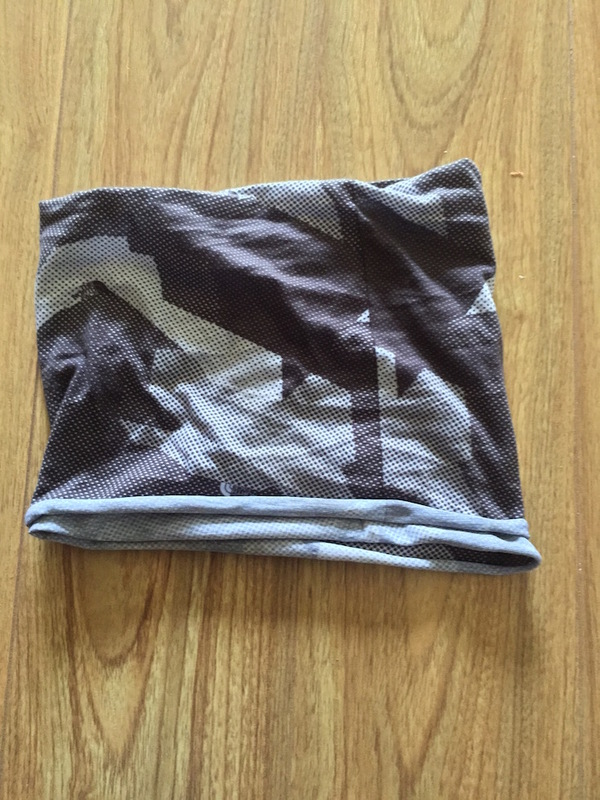 I hope to never test it, but it is comfortable gave me no issues over the trip, and I will always continue to wear it. 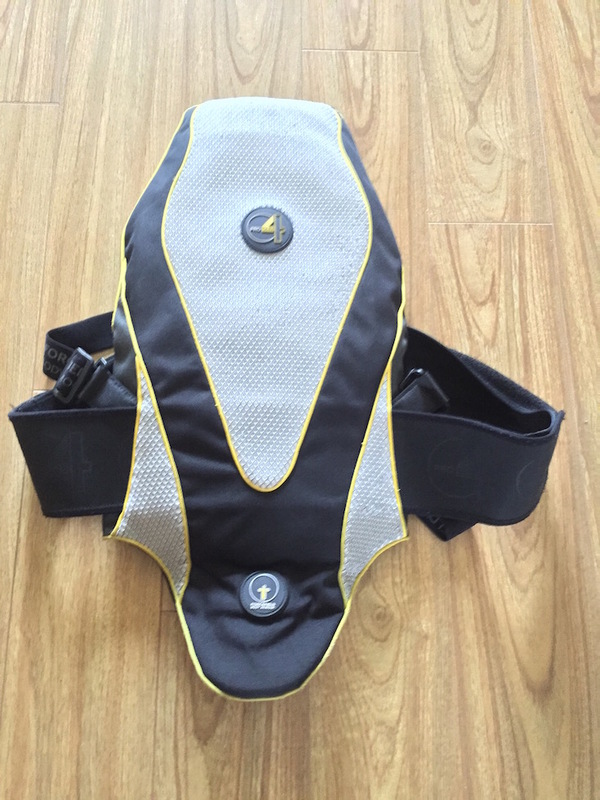 As way of info I remove the back protector from all my jackets, this is the back protector of choice for me. In this photo you can see what I mean, you can also see I am completely and utterly soaked. Prior to this it couldn’t have rained more! It was chucking it down and had been for many, many hours. And this is the down point of the jacket and the first time this happened to me in any Spada gear. It failed. After about 90 minutes of torrential rain the jacket failed the water came in and it kept coming. For the next 4 hours it rained and for the next four hours the jacket leaked, at times I had to straighten my arms downwards to wards the ground to let the water that was pooling around my elbows run out of the jacket. The only saving grace is that the back protector for some reason kept my back dry as well as around my kidneys and waist. When the rain stopped the jacket dried out pretty quickly, after about an hour to ninety minutes I was starting to dry out and get a bit more comfortable, a after a couple of hours the jacket was completely dried out again. 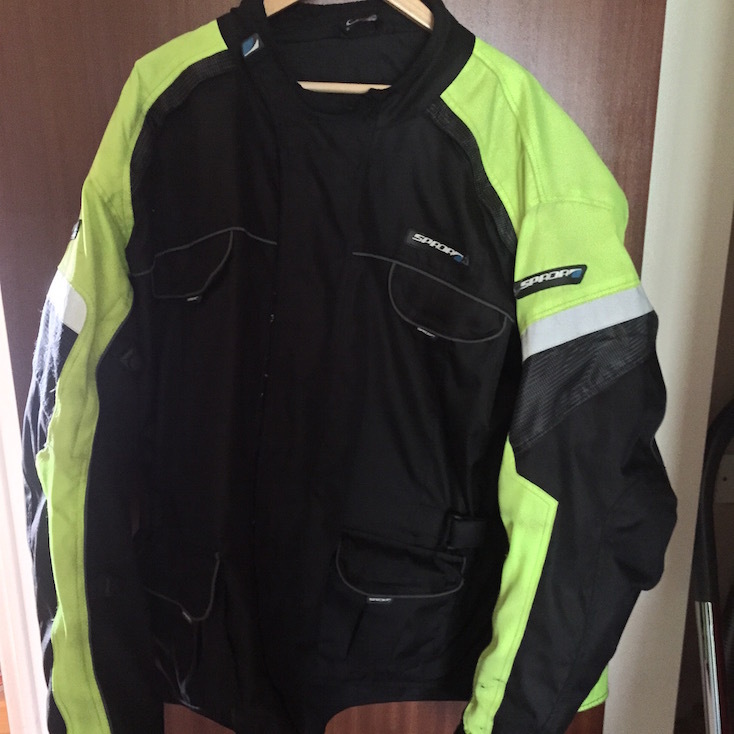 For a daily commute this jacket ticks all the boxes, for my next longer trip I am going to have a look at more waterproof options, even a simple one like a rain suit would have made all the difference, and kept me warm, dry and comfortable in the crazy rain that decided to visit Ireland that day! 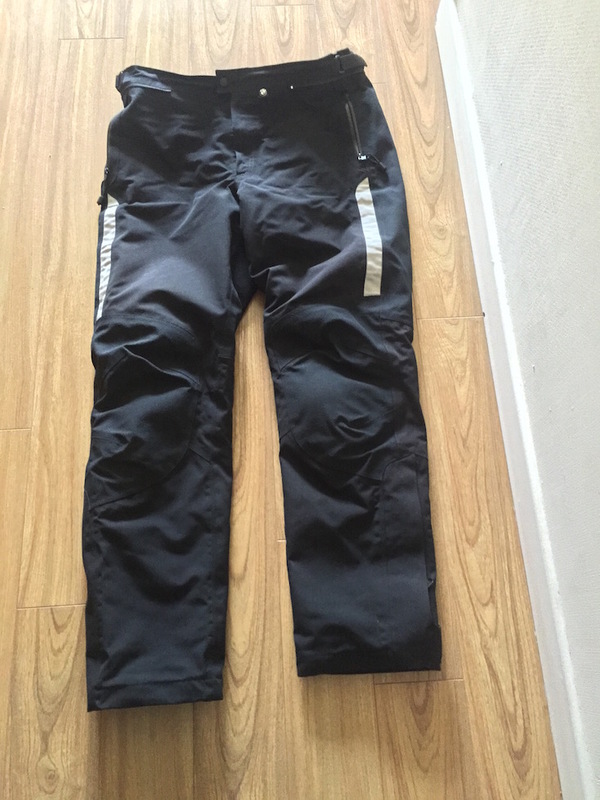 There isn’t too much to say about these textile trousers, they come with hip and knee armour and a thermal lining, they come with a hefty price tag as well, although now have been replaced with the StreetGuard 3 trousers, which sit at about £350 RRP. However they are amazing. When faced with the horrific weather I described about they never even blinked, not a single drop of water penetrated them, not a drop. Which given the conditions was an amazing achievement. On the route down to the start of the WAW I got hammered by rain, they never batted an eyelid, and in the picture above and as described I got hammered even more and these trousers never flinched. They may be expensive but if waterproofing and comfort are essential to you they are money well spent. The feel tough and rugged too with a reinforced seat, they certainly seem to offer a good level of protection, when just considering their level of weatherproofing they are top class, now all I have to do is find £450 and I’ll be buying the jacket! 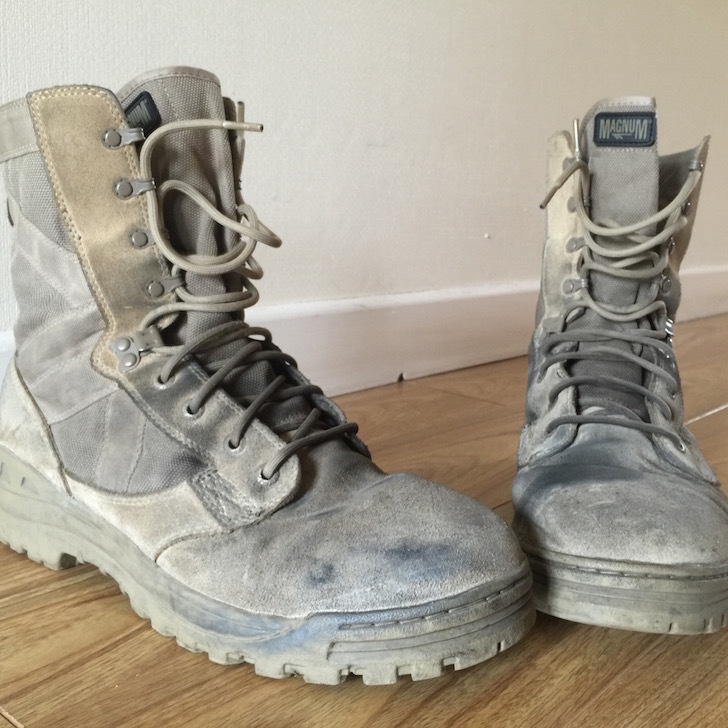 These boots started the journey relative fresh looking, this is them at the end. Prior to the trip I treated them with ‘Wooly’ Himalayan Wax to try and waterproof them somewhat. Any waterproofing disappeared on the way down to Cork as I got hit with some torrential rain. So motorway at 120 km/h coupled by torrential rain meant leaking boots. 4 hours of motorway later and this same equation = soaked boots. Thankfully the B&B I was staying at that night had a hairdryer and I was able to get the boots back into some sort of warmer, drier more wearable condition by the following morning. That’s why packing a pair of commutable trainers in the panniers is such a good idea! Why Magnum boots? Why not motorcycle boots? Thats a good question and one a number of people asked me, and the only reason is comfort. I find Magnums very comfortable. There is also a decent level of foot protection. These particular boots have a steel shank along the sole, a steel toe and reinforced heal. I know they offer much less protection than bike boots but they do provide a decent level of protection. I was aware than some of the places I would be going to would require some walking and when off the bike I find bike boots pretty uncomfortable, and when walking any sort of distance they become very uncomfortable. Other than the waterproofing issue this was overall a good decision, when crossing ground on foot I was comfortable as I was on the bike, Hi-Tec do a range of waterproof boots, that’ll probably be the next pair of ‘bike boots’ I buy. Just before leaving I picked up these new gloves in a big sale, they feel light, but tough, with good protection on the knuckles, fingers and palms. 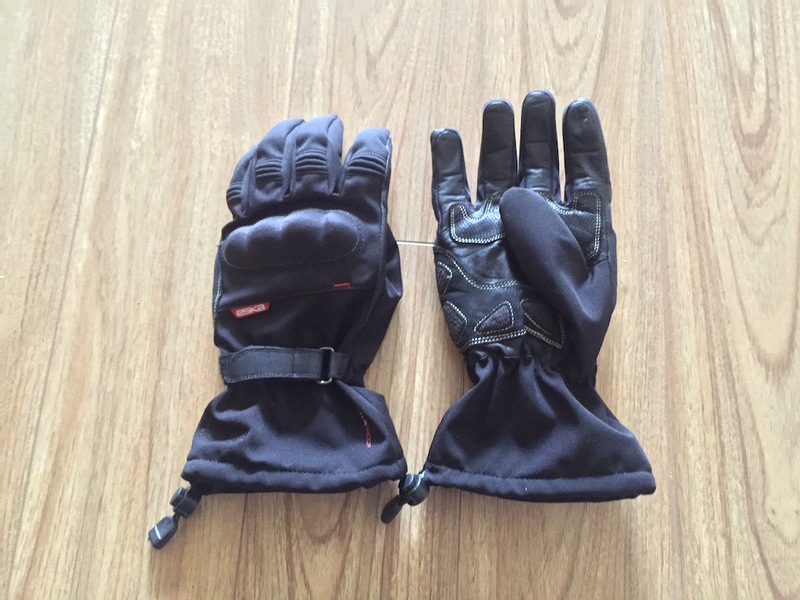 The long cuffs meant they would tuck nicely under my jacket, and the big selling point for me was the fact that they were marked ‘waterproof.’ So them seemed to be the perfect solution for this trip – summer waterproof gloves. When I first put them on, they were comfortable, and easy to work in, moving in them was easy and accessing any of the bikes controls was easy. Then the rain came and the waterproof claim did not ring true! They leaked, then leaked some more, and in little time they were soaked through! They had to come off, and by the next morning they still hadn’t dried out. I put them on again with the heated grips in an attempt to dry them out and several hours later they had dried out significantly. But in that time I had become increasingly uncomfortable and I had to ditch the gloves. They then rarely were used again on this trip. All in all pretty disappointing for a waterproof glove. I will not be using them again in the wet. For a dry summer day I can see them being quite good, but my experience of them in the wet has definitely tarnished my opinions of the Eska gloves. Thank goodness I got them in a sale and didn’t fork out the RRP! 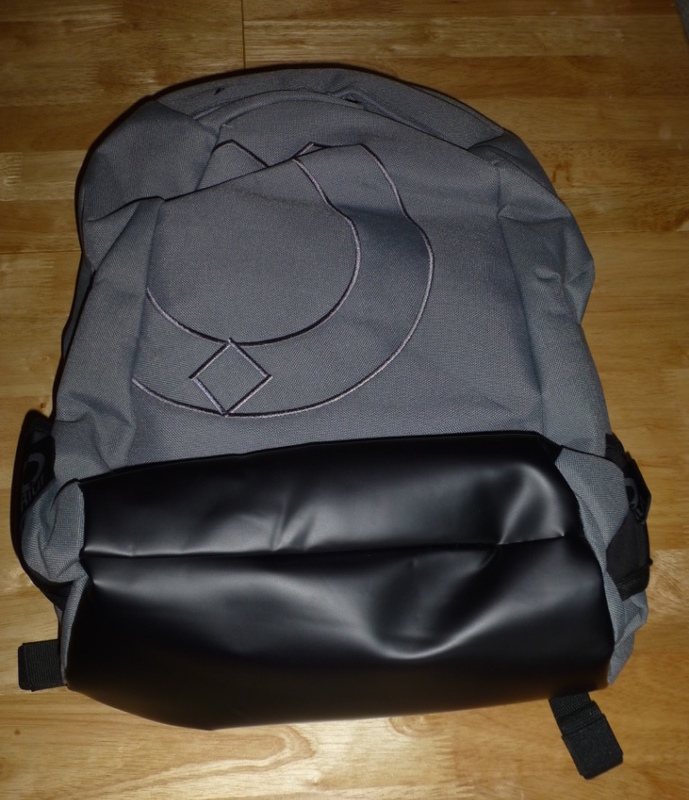 Anyway this is the bag that I chose to put my valuable and tech in. I packed it with my laptop, iPad, all my chargers, spare batteries, some emergency warm gear, emergency cash, multitool… and when it was packed it fitted perfectly in the Givi Monlock top box. Job done. So that’s the foundation of the gear I took with me, obviously I had the panniers full of changes of clothing, spare gloves, trainers all the other stuff we all travel with and now that that’s all covered my posting will move onto the trip itself, thanks for reading and of course if you have any questions or comments feel free to get in touch. 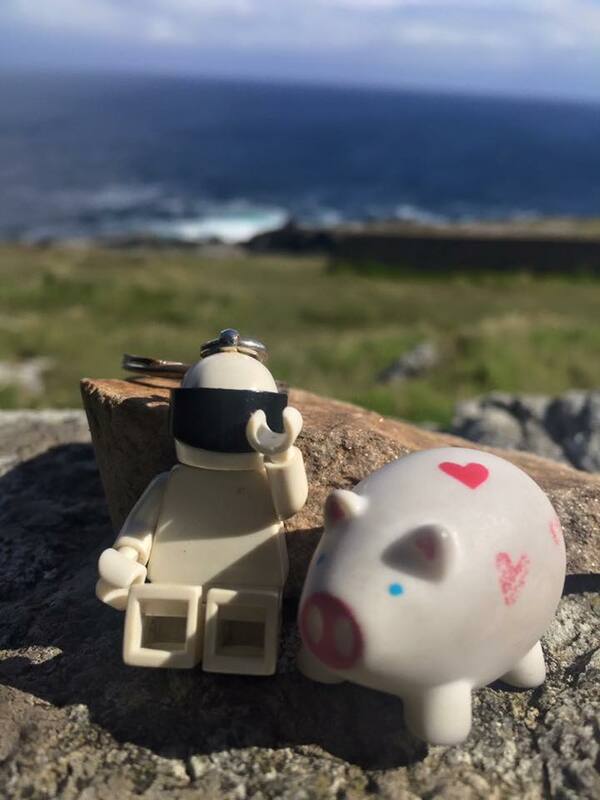 #WAWIn1Week : Wild Atlantic Way In 1 Week : Day 0 – Travel Day.